Following Oberlin, Gordon attended the University of Virginia Law School where, among other things, he and a group of friends founded what would become the North Grounds Softball League, the North Grounds referring to the part of the UVA campus, removed from the central campus, that included the law school and the Darden School of Business. Gordon also served as an editor on the Virginia Law Weekly, a publication of the students of the UVA law school. It was while he was a law student that Gordon also began a masters degree in history. Upon graduating from law school, Gordon clerked for Justice Albertis S. Harrison and Chief Justice Lawrence I’Anson of the Supreme Court of Virginia, and worked briefly for the Massachusetts Commission Against Discrimination. Gordon was also able to finish his master’s thesis in history while clerking. It was only then that Gordon finally was able to pursue a cherished goal – a PhD from Harvard. Gordon once admitted that had he been accepted into graduate school at Harvard straight out of Oberlin, he might never have gone to law school. He was among the earliest students in Harvard’s interdisciplinary graduate program in American culture with a particular interest in history and literature. Gordon’s dissertation was on the admission of African-American lawyers into the Virginia bar, a subject he pursued with an ever broader focus his entire scholarly career. While in graduate school, Gordon was one of the assistant senior tutors of Dunster House, one of the twelve undergraduate residential houses, a house that counts among its illustrious alumni Al Gore along with his then roommate Tommy Lee Jones, Norman Mailer, and Caspar Weinberger. For a short while, and with a fierce devotion, as his fellow tutors recall, Gordon dominated the little-known pin ball game in the Dunster House basement. Gordon arrived at Marquette in the Fall of 1995 after teaching at Chicago-Kent College of Law in Chicago, where three times he was named professor of the year, and Washington University Law School in St. Louis where he was the only visiting professor to be named professor of the year. At Marquette, Gordon continued to distinguish himself as a teacher. Early on, he received the Ghiardi Award for Excellence in Teaching as well as the teaching award presented by the Phi Delta Phi Legal Fraternity. Gordon never regarded law teaching as merely preparing students for a job in the law. Education generally for Gordon was always more, it was about preparing students for a critically reflective life and, especially for law students, wise leadership in their communities. He saw himself preparing tomorrow’s senators and chief justices and the heads of corporations and non-profits. He never just taught doctrines; he always asked if the law on the books was coherent and made good moral sense. With his colleagues, Gordon was equally generous. His broad network of friends from everywhere he went served the law school well. He participated in ever aspect of the life of the law school; he taught in every one of its foreign programs, enjoyed a Fulbright Fellowship to the Ukraine; he was a constant presence in every workshop, seminar, conference, lunch or dinner, always contributing with courtesy and a marvelously encyclopedic, and legendary long-term memory, a true miracle of nature. He had an uncanny recollection of not only supreme court decisions but also the quirky personalities and personal histories of the justices. To the delight of many, his memory and interests ran the gamut of popular culture. Early in our acquaintance Gordon solved the perplexing mystery of the huge physical differences among Adam, Hoss, and Little Joe, Ben Cartwright’s three sons on Bonanza. He explained that the sons had three different mothers, each succumbing on the long trek west out to the Ponderosa. I’m pretty sure that Gordon even recalled the names of each wife and where she and Ben met. Gordon had an endless passion for baseball and even for someone like me, who has no interest in baseball, we could talk for hours about baseball because those conversations were never about just baseball. They were about the place of baseball in the history of American culture and the growth of sport as an aspect of the country’s response to capitalism and industrialization. Baseball, Gordon explained, provided a safer alternative to boxing and horse racing for factory workers and at the same time created an esprit among coworkers and management. This was typical of Gordon’s approach to all of his passions: to synthesize and find the patterns and relationships, how everything related to everything else, the grand unified field theory of everything. No memorial to Professor Hylton would be complete without mentioning his devotion to and pride in his family, his four children, Veronica, Joseph, Elizabeth, and Caroline, each of whom, following in their father’s footsteps, has enjoyed a distinguished academic career. For the last few of his twenty years at Marquette, Professor Hylton was commuting weekly from Charlottesville, Virginia, to Marquette. It was very common to drop into his office and find him on the phone conferring with one or another of his kids about school projects or applications to college. Gordon finally retired from Marquette in 2015 to return to teaching at the University of Virginia Law School where he could be closer to his family. In what had to be one of the most joyous days of Professor Hylton’s life, he was able to witness his oldest daughter Veronica’s wedding in his hospital room surrounded by his children, family, and close friends. 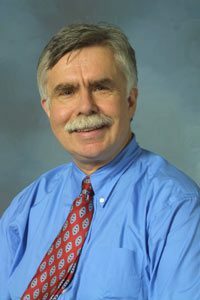 The Marquette Law Faculty Blog contains a compilation of Professor Hylton’s posts that offers a delightful insight into the range of his interests: https://law.marquette.edu/facultyblog/author/gordon-hylton/ , is a special delight to read. Professor Melissa Love Koenig also published a warm and insightful interview with Professor Hylton on the same Blog in 2012.